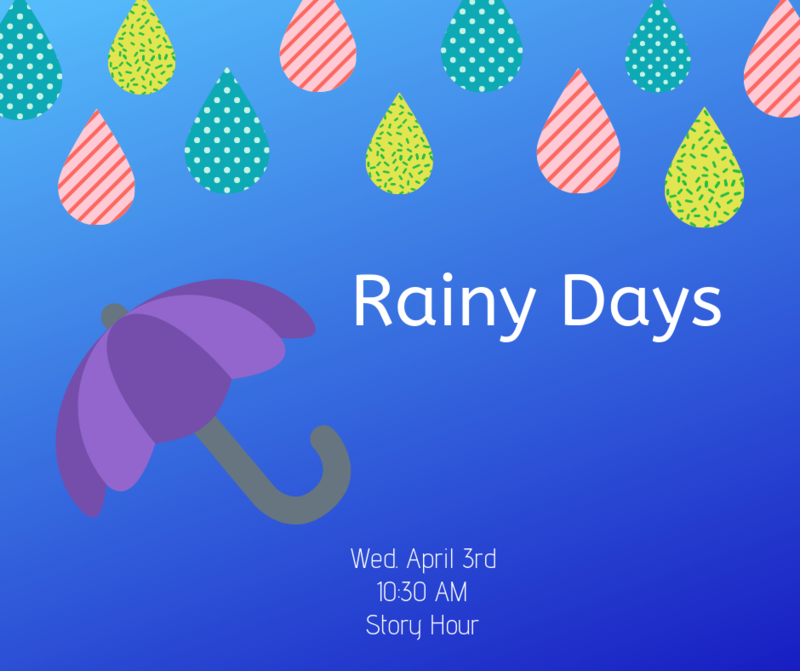 Join us for a story hour all about rainy days! This educational event includes stories, songs, and a craft! This is a free children's event and there is no registration.